Chargers, Pizza Night and Birthday Week! There are a ton of great events coming up at the pub to tell you about – Alpine Exponential on cask, the return of pizza night, our mega hoppy beer weekend and more. First though, I will start with tonight for those reading this right after it is sent. 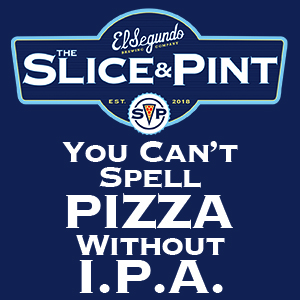 Thursday the 7th we will tap a cask of Pizza Port San Clemente’s El Camino IPA at 5 pm. We’ll also have the new Stone 08-08-08 Vertical Epic in the bottle which is a Belgian-style IPA (like Green Flash’s Le Freak). We also have some other new bottles in right now including the Brooklyn/Schneider collaboration Hopfen Weiss which is a dry hopped 8.2% alcohol German wheat beer that is quite good. We also have some bottles of Alpine Irish Red on the list now. Also new on the list are Eisenbahn Lust, a champagne style beer from Brazil; Alvinne Balthazar – a beer spiced with coriander and cardamom and we got more bottles of the Allagash Hugh Malone in. Coming up this weekend we have the return of the San Diego Super Chargers. The first preseason game is at 7 pm against Dallas. We’ll be showing it with the sound on and we’ll have a late-night happy hour during the game with $10 pitchers of any local or craft beer! The Chargers also play next Saturday against the Rams at 5 pm and we will have the same pitcher special in effect during that game as well. Even though most of the starting jobs are lined up, it should be good to watch the new guys battle it out for a spot on the team. Tuesday, 8/12 – Pizza Night with Pizza Port owner Vince Marsaglia with Lost Abbey Witches Wit and Port Brewing 2nd Anniversary on tap, a cask of Pizza Port Carlsbad’s Poor Man’s IPA and bottles of Angel’s Share, Older Viscosity, Inferno, Signature and if all goes well Isabella Proximus and Cuvee de Tomme. Vince is bringing 4 times as much dough as last time and is bringing down some Pizza Port staff to help make the pizzas. Wednesday, 8/13 – Vintage and one-off bottle night. I am compiling a list this weekend of some odd bottles to sell for this night. There will be only one of most bottles and I do not have the list done yet, but I will post it on the web when I do. I do know that I will have some vintage Stone bottles including Epic and other strong ales and some odd ball Belgian beers. Thursday, 8/14 – a duo of cask beers from Alpine – Duet IPA and Exponential Hoppiness both on cask at 5 pm. 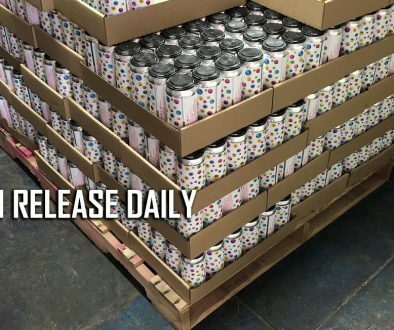 Friday, 8/15 – The Night of a Million Zillion Hops! 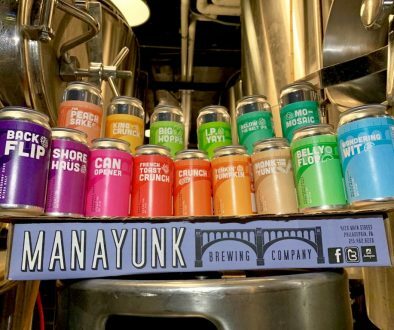 We will have 15 IPAs and double IPAs on tap for your beer drinking pleasure including Racer X, Ballast Point Dorado, Ruination, Green Flash West Coast IPA, Pizza Port Poor Man’s IPA, Mission IPA, Moylan’s Moylander, Swami’s IPA and many many more. I’ll have a few non-IPA beers still on the list, but if you don’t like hops, this is not the night to come to the pub. Saturday and Sunday, 8/16 and 8/17 – IPA and Double IPA Tasting all weekend. Since all of the beers for Friday night will be in full kegs, they will be on tap all weekend – and if anything blows, I have extra hoppy beers lying in wait to back them up. We are going to be busy Friday night so I do not want to torture the bartenders with pouring 5 oz samples. But if you would like to come by on the weekend, you can order all the 5 oz samples you want and attempt to try all 15 beers! So Friday is for pints and pitchers and the weekend is for sampling and 5 ounce pours. As if you need anything else, I will still tell what is coming up after that. On Thursday the 21st we tap a cask of Alpine Pure Hoppiness. Friday the 22nd we feature beers from The Bruery, a new micro in Orange county that is specializing in Belgian themed beers. We’ll have several on tap including a Berliner Weiss. The Chargers play a Monday night game against Seattle on the 25th. We have a cask of Wipeout IPA on the 28th. We’ll be open Labor Day weekend, but we will be closed Monday, September 1st for Labor Day. I know it is far away, but I have two September events to tell you about. First, is another AleSmith tasting on Saturday, September 13th at 6 pm. I have some bottles left over from our Vintage and Barrel Aged tasting including Decadence 2005, Speedway Stout 2005, Grand Cru 2006, and Barrel Aged Old Numbskull and Wee Heavy. However, because I only have one bottle of some of the beers, I am limiting this tasting to only 10 people. Cost will be $30 per person and I will start a sign up sheet tonight at the pub. The other September event is our Elysian Launch party with brewer Dave Buhler on Tuesday, Sept. 23rd. Elysian is a great and creative brewery out of Seattle and we will have 6-8 of their beers on tap including some nice rarities just for the launch party. The Elysian beers should be available in early September. News from Great Divide Oktoberfest Time?.. Well, yes. Actually.